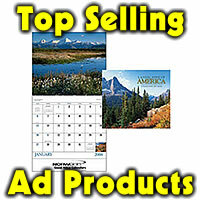 Looking for an earth friendly promotional giveaway or take home item for an event? Seed paper shape bookmarks with your info imprinted in full color on the bookmark and your choice of seed paper shape inserted in the slot at the top. Great for Earth day, Arbor day or recyling events. Use as favor for weddings and receptions. Choose from over 100 seed paper shapes. Each handmade shape is from 100% post-industrial recycled paper and infused with a hardy mix of wildflower seeds. Simply plant, water and enjoy your flowers! 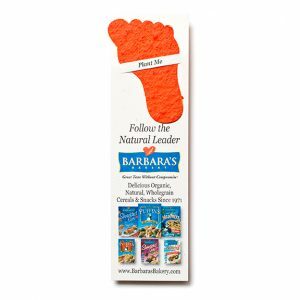 Bookmark is 2-7.5″ s 7-7/5″ and can be imprinted 1 or 2 sides. 1 side imprint, 100 min are 1.48 ea, 2 sided 100 qty are 1.78 ea, 250 1 sided print are 1.05 ea, 2 sided print 250 min are 1.26 ea, 500 1 sided 95 cents ea, 500 2 sided imprint 1.14 ea, 1000 1 side imprint are 84 cents ea, 2 sided 1000 qty 1.01 ea. Set up is 35.00. Can be individually bagged in cello bags for add’l 20 cents ea. Item number PB1.